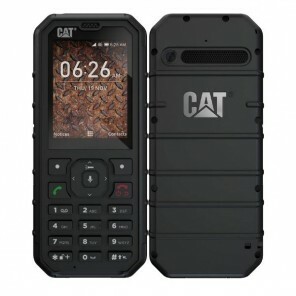 The Caterpillar CAT B25 tough mobile phone is an ultra-resistant phone, designed for those working in hostile environments. This rugged phone has a rating of IP67, which means that it is both water and dust resistant. Certified with IP67 rating, this device from Caterpiller is dust resistant and can be submerged under water for up to 30 minutes. Its reinforced casing allows you to use the device in extreme environments. As well as being highly durable, the Caterpillar CAT B25 offers a number of advanced features such as Bluetooth, colour screen, photo and video camera, radio FM and flashlight.